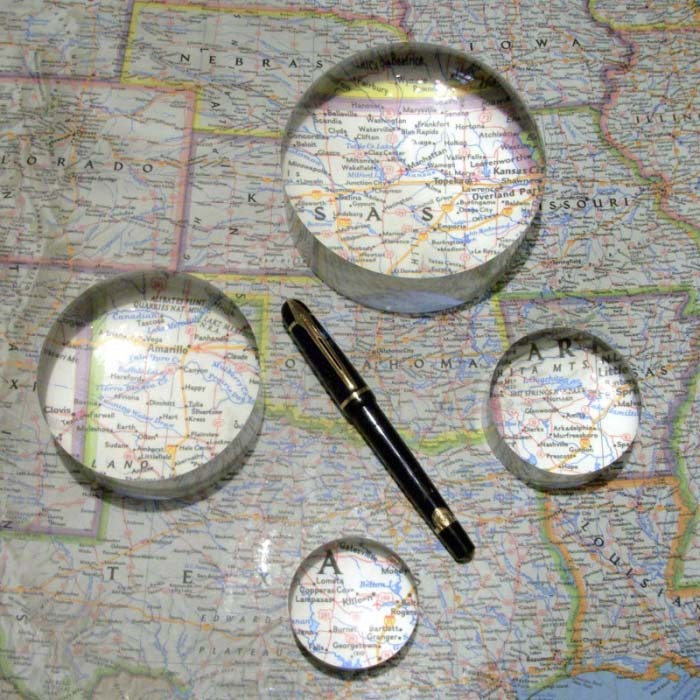 The Crystal View Magnifier is unlike other magnifiers you have seen. It is designed of highly polished optical grade acrylic rather than the hollow mold plastic offered by similar magnifiers. The heavy acrylic top and side of the Crystal View Magnifier gathers light and makes the area being viewed brighter and clearer. The slightly concave bottom keeps the Crystal View Magnifier from touching the viewed image and eliminates scratching. Proudly made in the USA. All sizes of the Crystal View Magnifier magnify at 4X. The 4X pre-focused Crystal View stays in focus at all time. Simply glide the Crystal View across the material you are viewing and you are ready to read. 2.0 Inch – great for viewing stamps, coins, maps, charts, menus, jewelry and medicine bottle inserts. 2.5 Inch – this is the most popular magnifier and has been recommended by ophthalmologists/opticians for low vision patients. 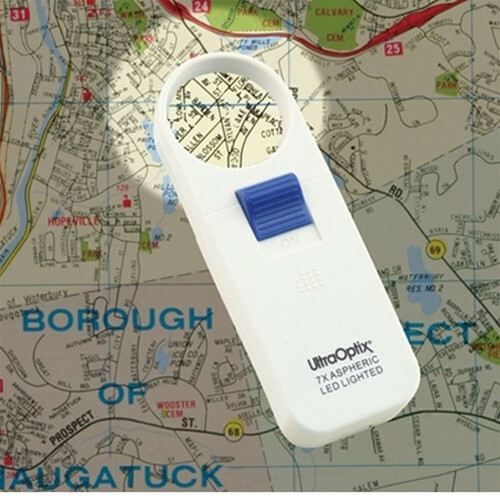 The light gathering properties of the Crystal View Magnifier also helps diabetic patients. Bookkeepers/Accountants can reduce eyestrain using the Crystal View Magnifier when looking at numbers for a long period of time. 3.5 Inch – the best magnifier for reading newspaper columns, 8 x 10″ film, drawings, photographs. 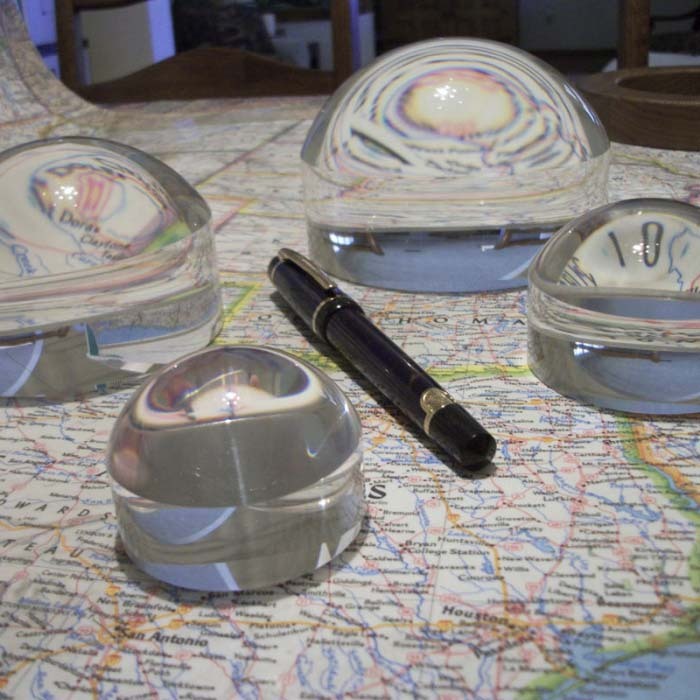 4.5 Inch- this large Crystal View Magnifier covers the most viewing area. The 4.5″ magnifier covers a full page of most paper back books left to right. Just slide it down the page to read. Also use for blueprints, documents and other larger images. 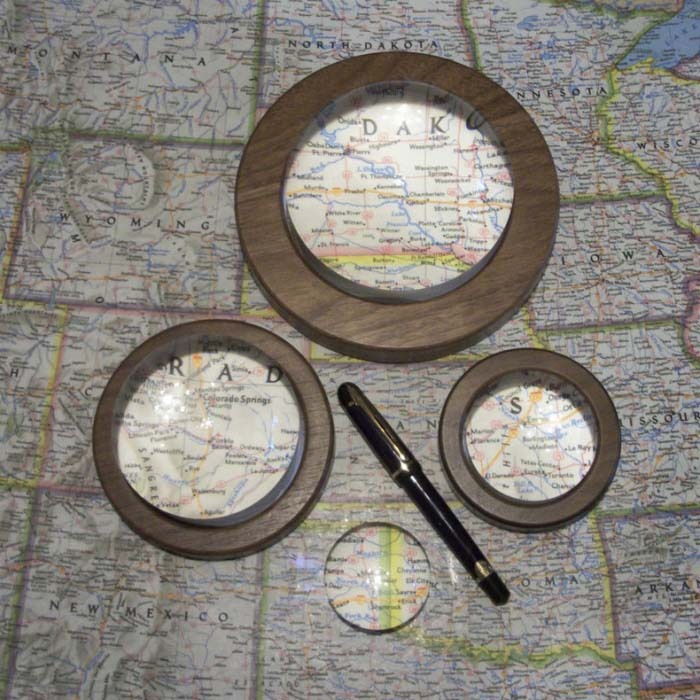 Custom laser-cut engraving offers distinctive results that personalize each Crystal View Magnifier, gift box or base. High tech laser engraving produces precise, crisp detail that accurately reproduces company logos, slogans or even personal messages.